One of the biggest problems freelancers face is finding clients. Where you can you find the right clients? How do you actually get them to book a spot in your schedule instead of disappearing forever? Those are just a few of the questions people want answers to. 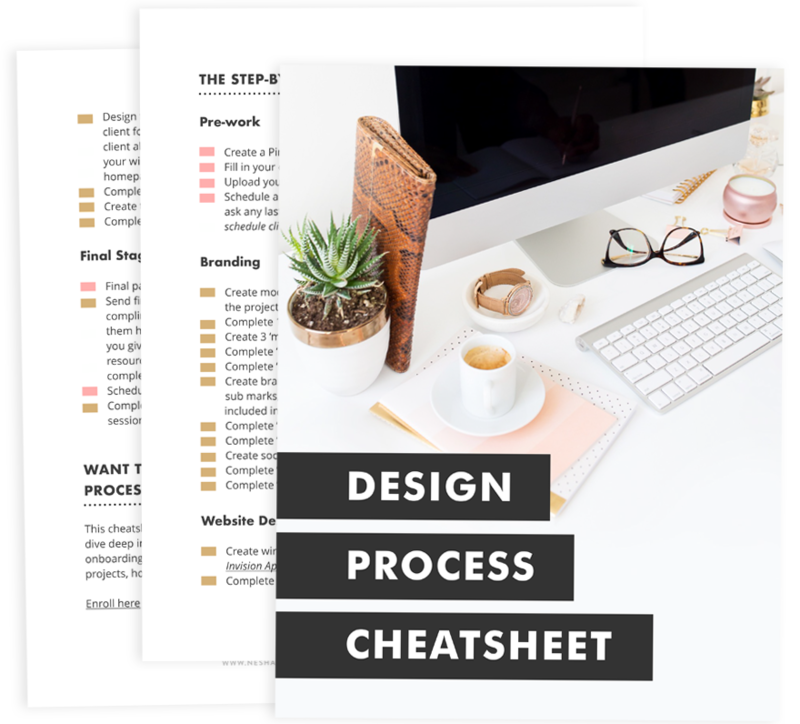 But today, I'm going to tackle the first one: where can you find clients? Finding clients is not that hard. And Facebook makes it even easier. Last year I contemplated deleting my Facebook account, since I rarely used it and I didn't get much traffic from it. But I decided to give it one more shot. They get most of their clients from Facebook. They've formed wildly profitable collaborations with business owners they met on Facebook. Facebook brings their website lots of traffic and gets them lots of subscribers. My reaction to reading those statements was HOW? But since then, I've been slowly figuring it out. You can find Facebook groups for any genre- blogger moms, freelance designers, entrepreneurial women... there are groups for everyone! You get to connect with like-minded people. You can ask for advice and provide advice. You can form really great friendships that lead to collaborations, clients, referrals and faster business growth. Give. Don't promote lots of your content and constantly spam the other members with you, you, you. Facebook groups are about forming a community and giving. Provide free advice to other members. Do free work for them. Be kind. Kindness can lead to clients, or at the very least make you feel good and proud. Participate. If there are daily challenges or questions asked, make sure you join in and get your name seen by the other members. Especially if the questions asked are about your niche. This is a great way of establishing your expertise! Share. In most Facebook groups there is a certain day in the week where all members can share their latest blog post or service. Make sure you share yours and add an image! After all the free advice you've been dishing out, people might want to visit your website and get in touch with you. Search. Search for people who are looking to hire someone like you. If you're a designer, you may want to search 'design' or 'Wordpress'. Then write a sincere comment (don't copy and paste) and leave your web address and email. Or, even better, show initiative and drop them an email yourself! When I raised my rates in January, my first two bookings were from women I met in Facebook groups. I'm living proof that practicing the tips above works! 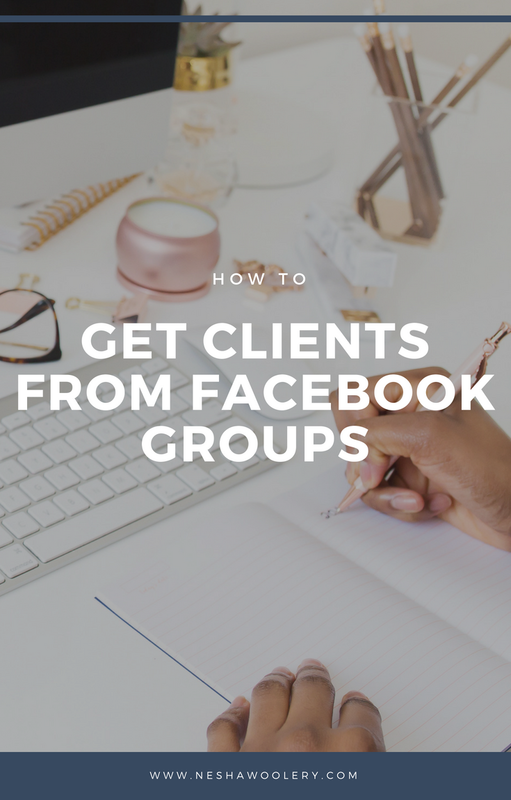 But if I'm honest, Facebook groups do something better than help you find clients. They help you find amazing friends from all over the world. If you're looking for a Facebook group where you can take action on these tips then don't forget to sign up for info on my latest offering, The Shelancers Club. We'll have our own Facebook group where you can connect, seek advice, and help each other build successful businesses!